Der Artikel Tightwire: Six Feet Deep wurde in den Warenkorb gelegt. A new young band outta Minneapolis, and holy shit_ this band RIPS! (Super catchy and sounds like The Copyrights playing Dude Ranch). 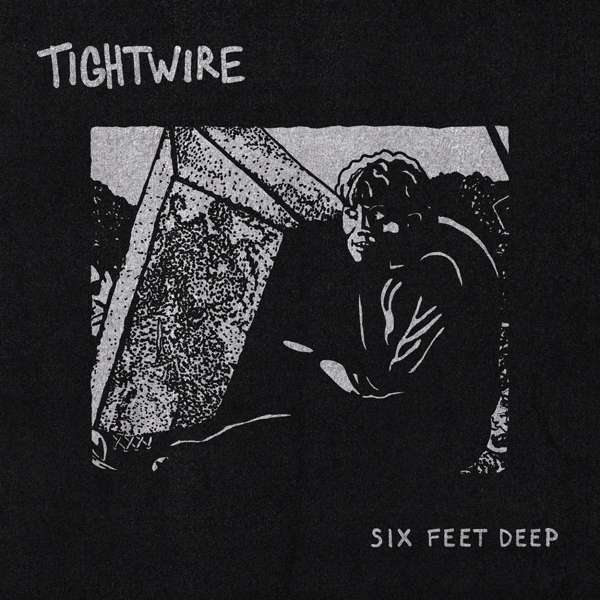 They're called Tightwire, and they're giving you 13 self-recorded blasts on this debut album entitled, Six Feet Deep, mixed by Matt Allison (Alka line Trio, Dead To Me, The Menzingers). The two singers, Paul and Tane, offer the kind of dark/poppy jams you would expect from salty MPLS punks: love songs, drinking songs, angry songs, drinking songs, funny songs, drinking songs, etc. This should go down as one of the best pop-punk albums of the year.